An Iranian terrorist cell has gotten their hands on weaponized Ergot-B-a compound that causes violent hysteria, madness and death within 24 hours-and plan to unleash the weapon on major cities around the world. Successful deployment would begin a bloodbath, as those exposed would kill everyone they encountered before succumbing to the compound's lethal effects. Erik Somers-Callsign: Bishop, is called in to investigate, but his first discovery shocks him to the core. Dawoud Abbasi, the terrorist leader planning to unleash Ergot-B, is his biological father. Bishop, along with an undercover Delta operator known as Callsign: Joker, race across the unforgiving Iranian desert in search of the Ergot-B. Seeking answers, both professional and personal, Bishop must fight against a private securtiy force, Iranian Special Forces and men driven mad by Ergot-B. 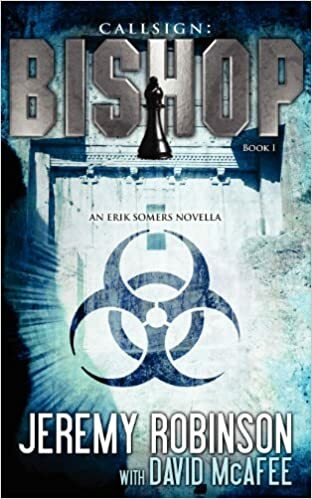 With the life of his biological mother in the balance, and countless more people in cities around the world, Bishop must call on all his strength to not only survive, but also stop the man revealed as his father-even if that means killing him.